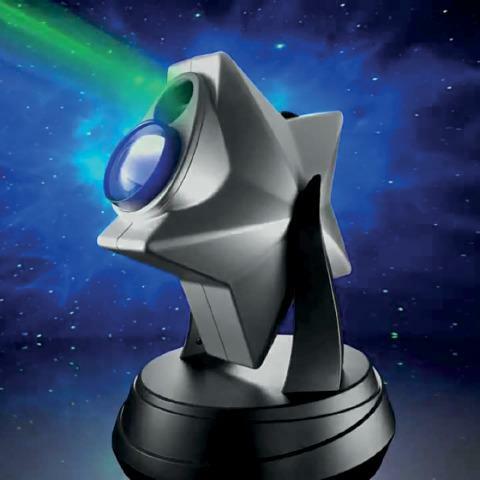 This projector will fill any dark space with a super sharp spectacle of animated stars and cloud formations. It will even surprise you with the occasional shooting star. It is fully adjustable and requires no set up. The lights are created from powerful green laser and holographic technology which make them very bright and clear. Creates thousands of stars with or without cloud formations. AC Adapter Included. Dimensions: L: 8.5" x W: 9.6" x H: 11"